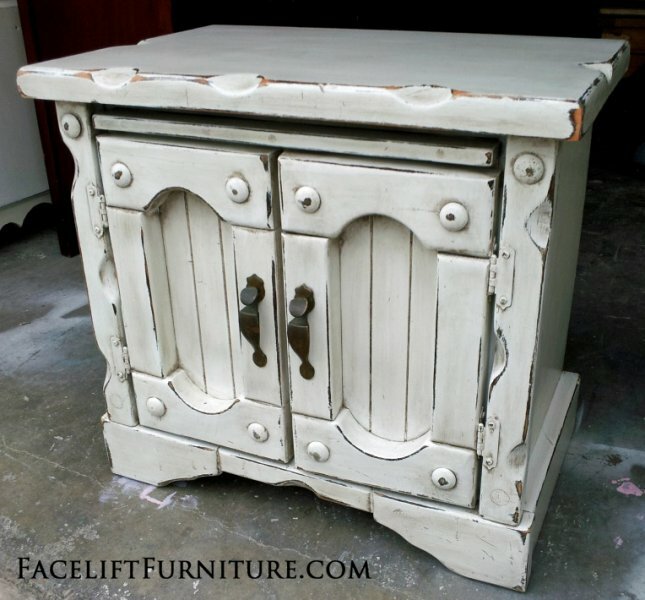 These furniture pieces are refinished in Antiqued White. 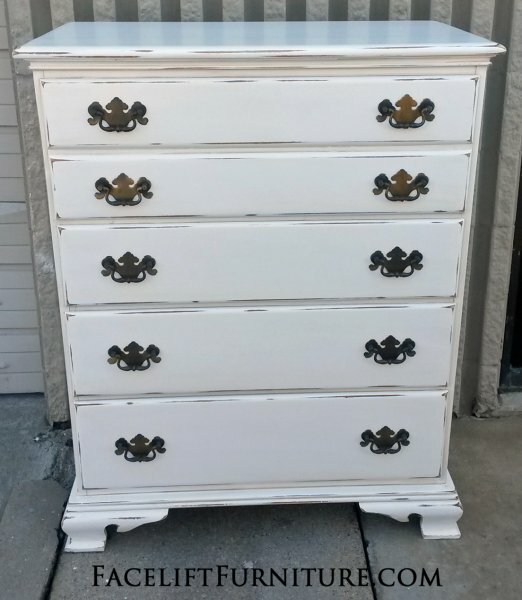 Most pieces in this album are also refinished with Tea Stained or Tobacco Glaze. 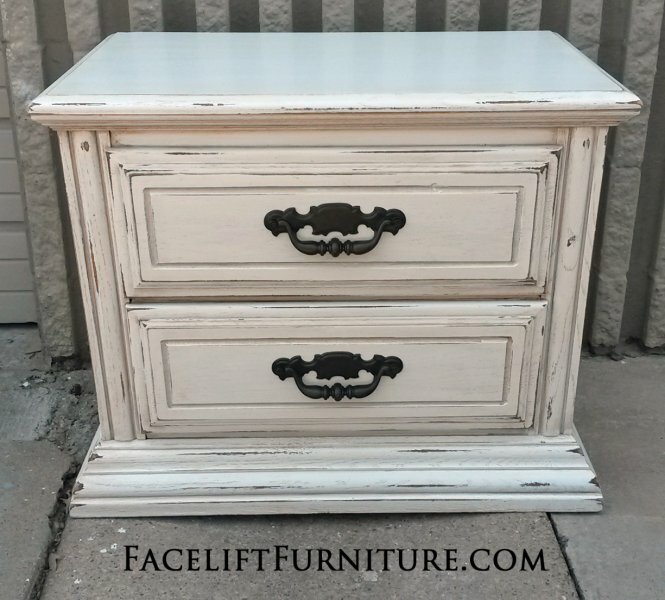 The combination of Antiqued White and Glaze provides outstanding definition to molding and the wear and tear of used furniture. Pieces distressed down to white primer display even more enhanced detail.